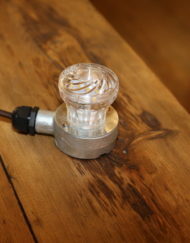 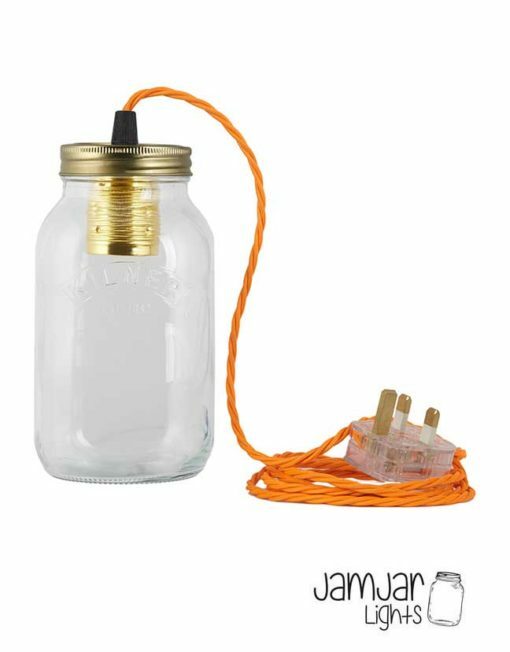 Our handmade JamJar Lamps were our very first product we ordered and where it all started, since then our JamJar Lamp has become one of our signature products which we’re very proud of. 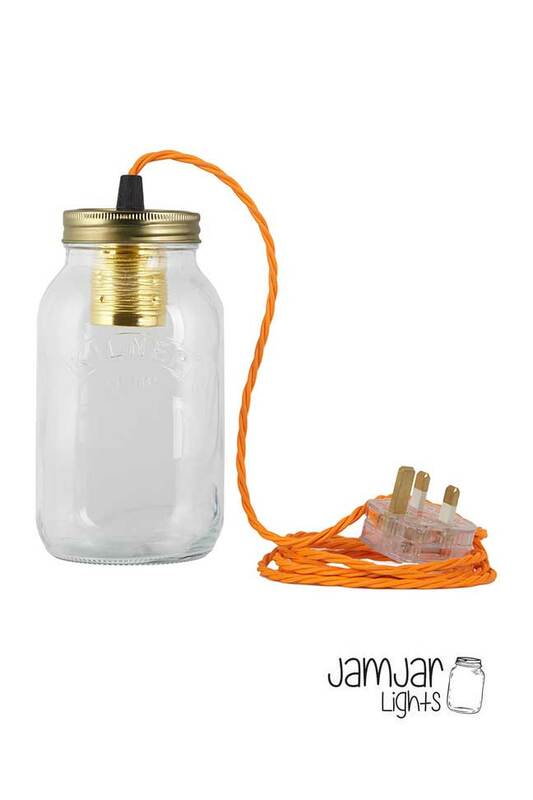 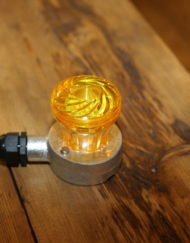 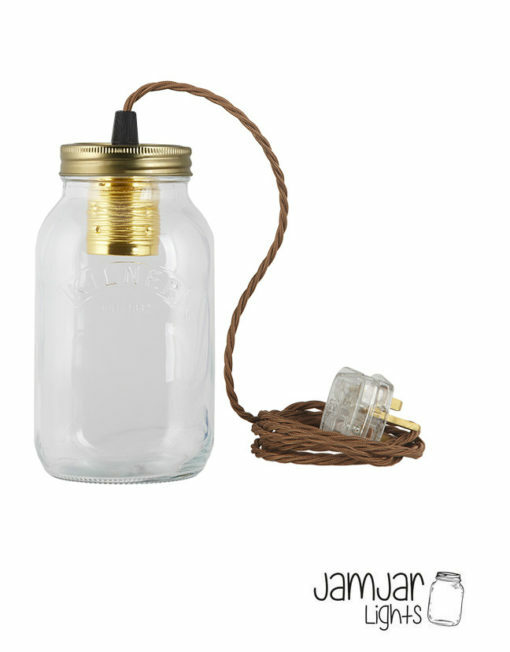 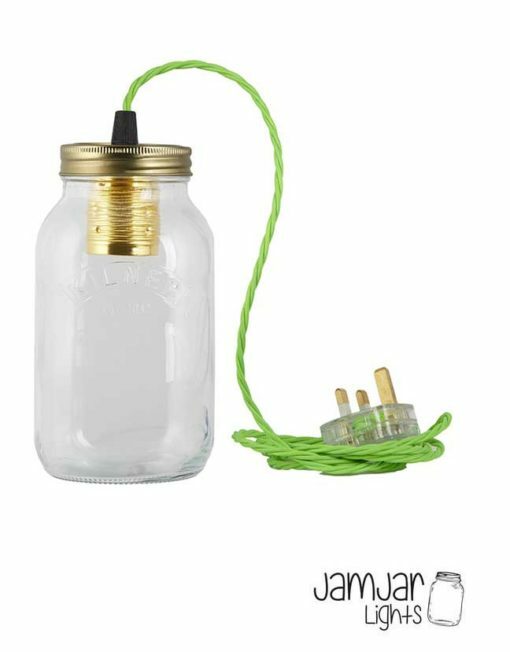 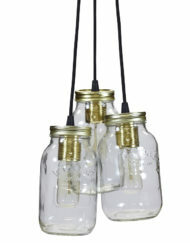 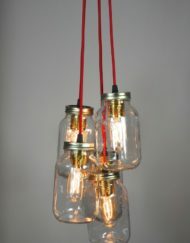 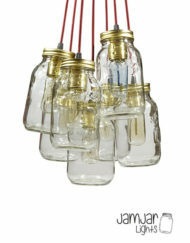 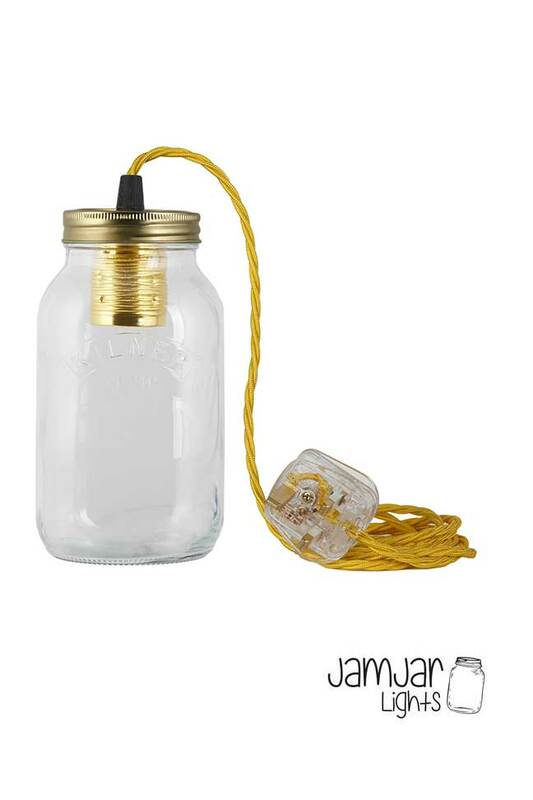 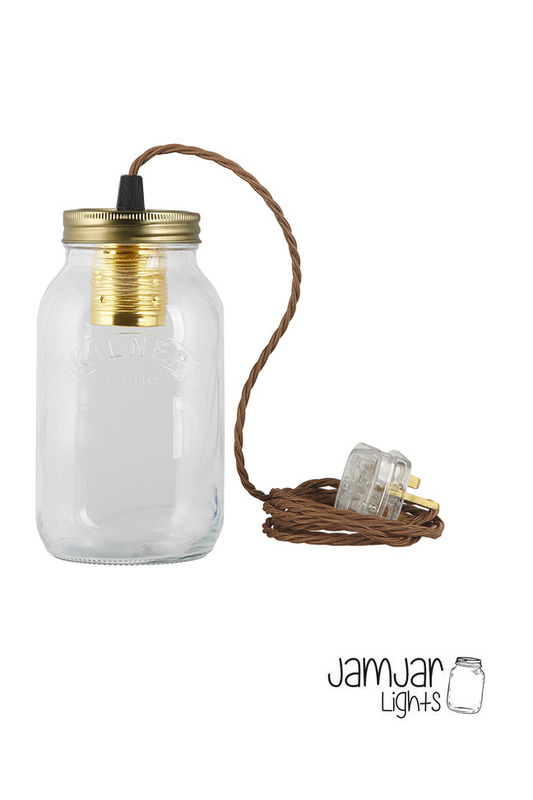 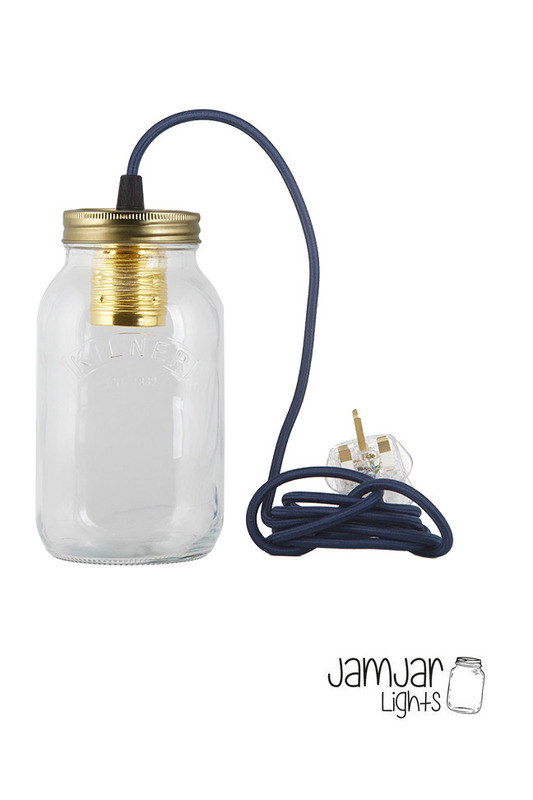 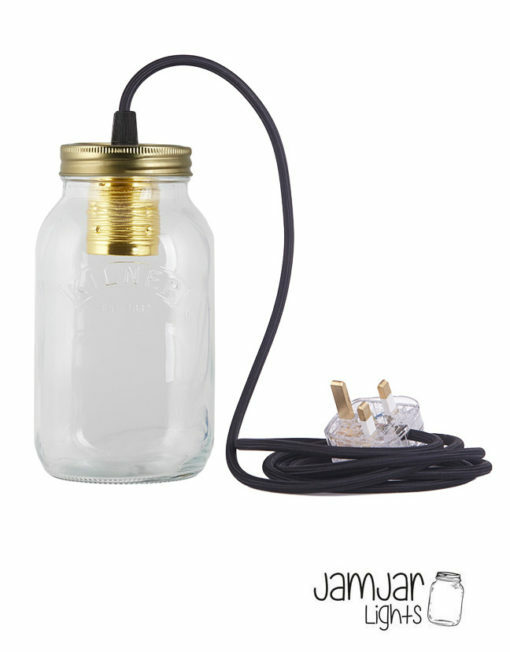 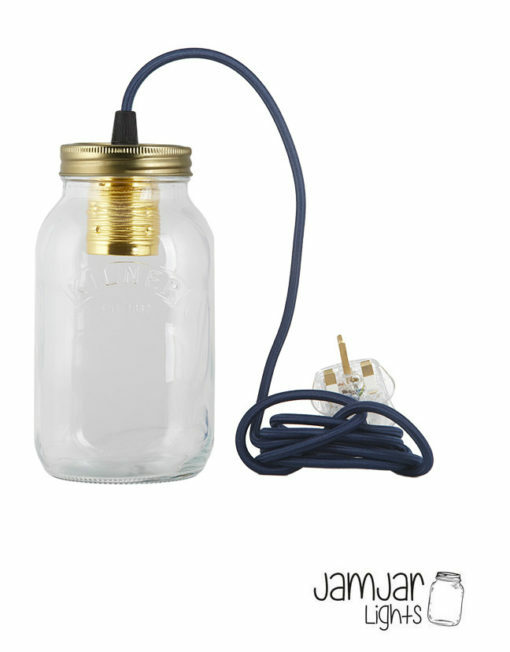 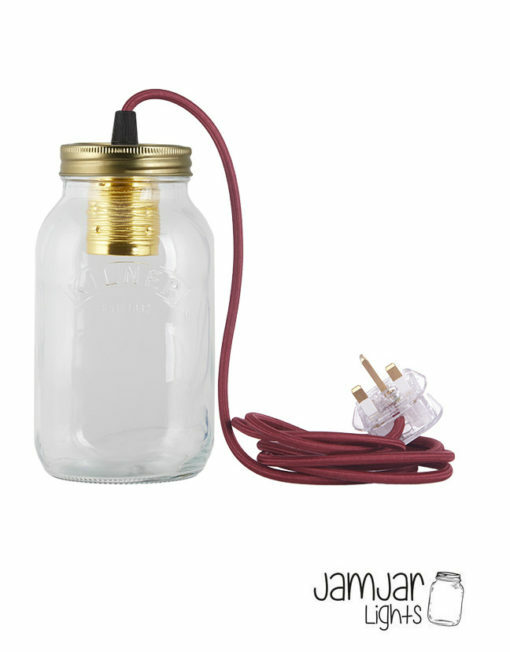 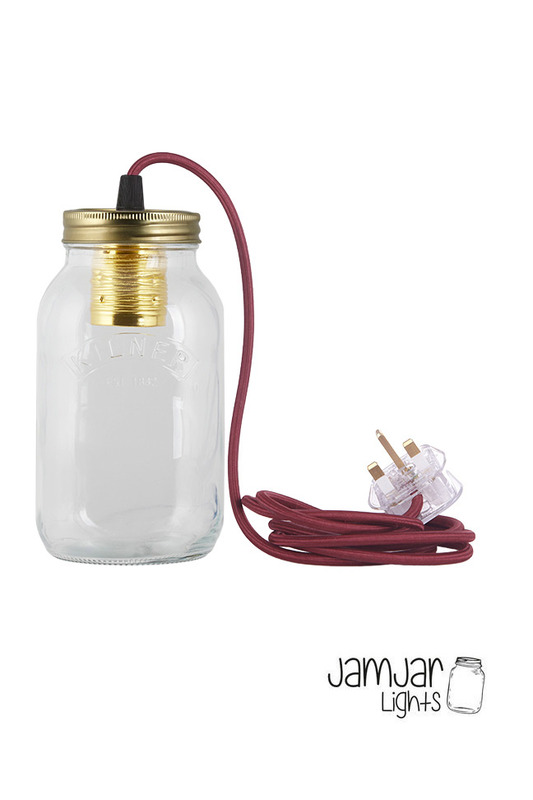 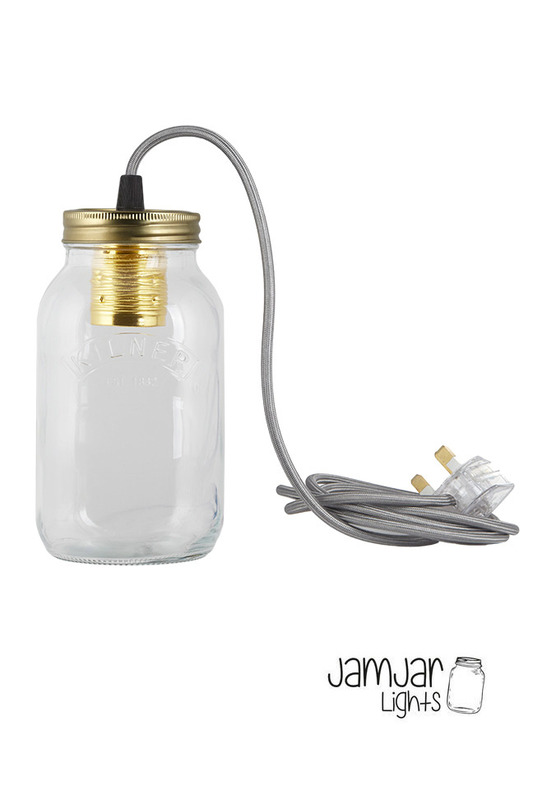 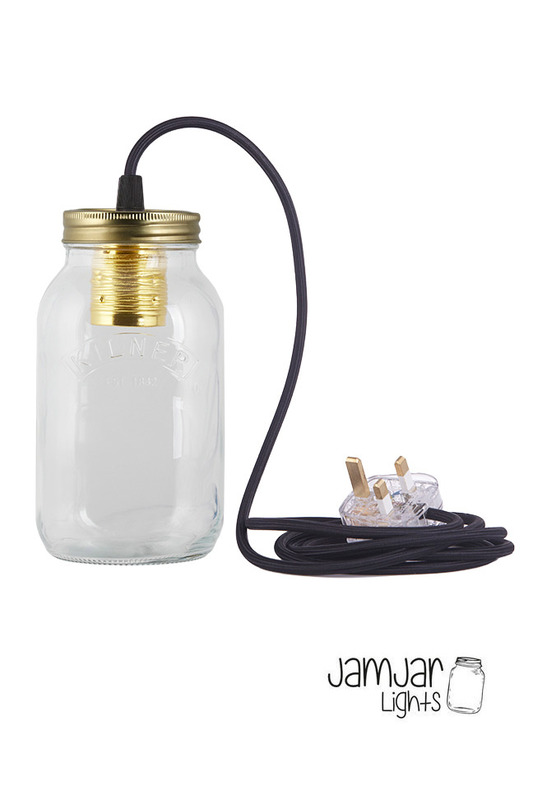 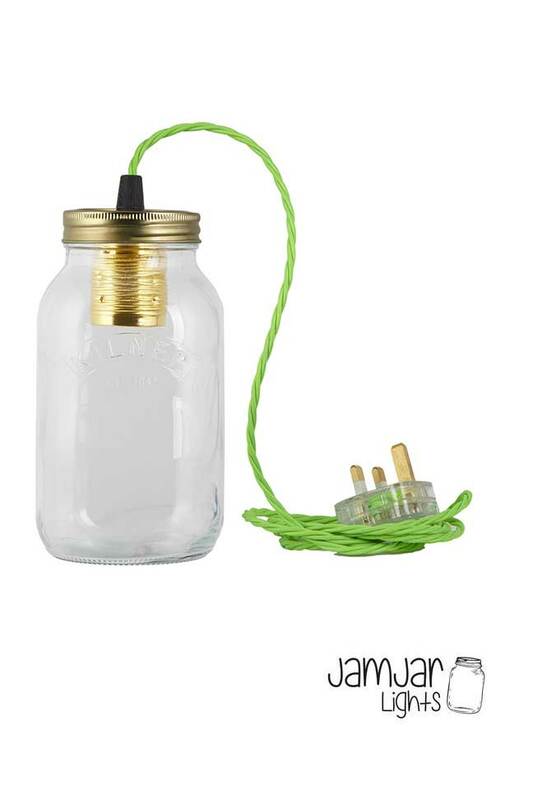 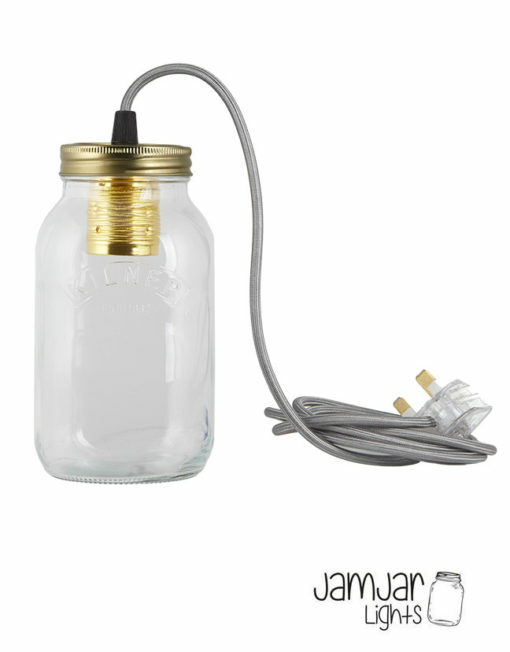 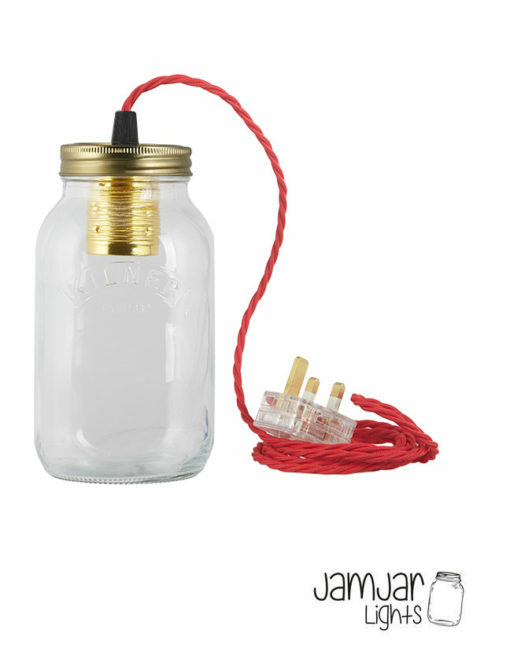 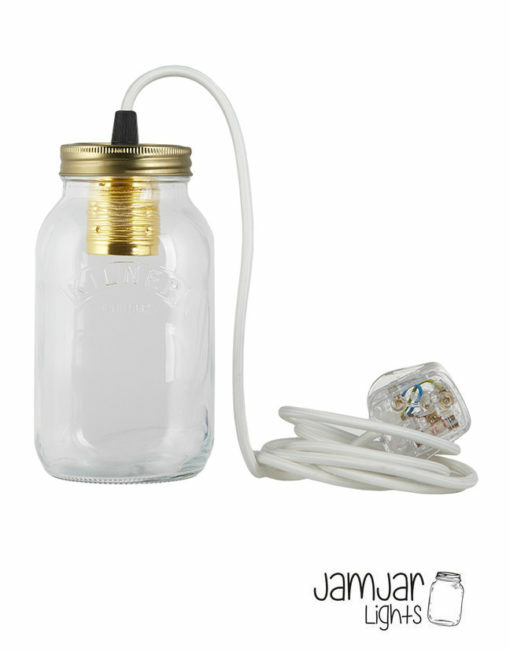 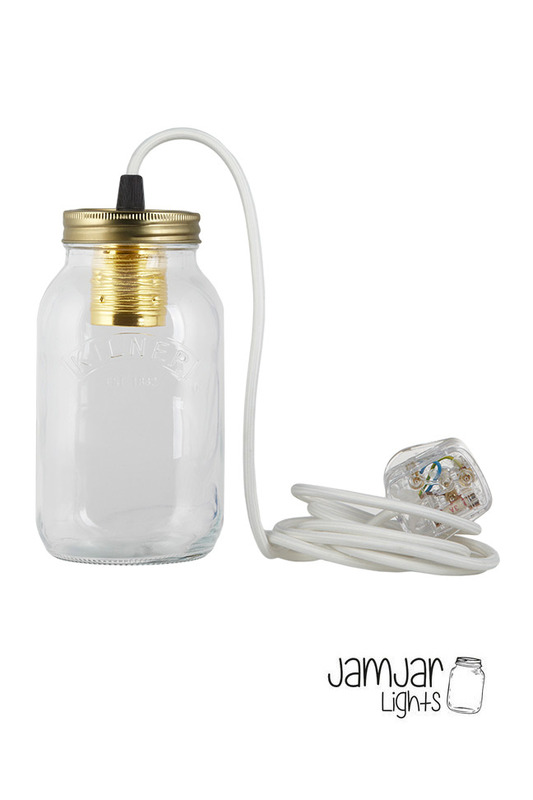 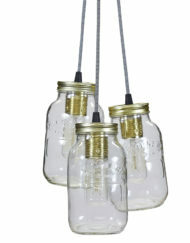 The JamJar Lamp is made using a 1 Litre Kilner preserving jar, an E27 screw lamp holder, a transparent 3 pin plug and 2 metres of any colour fabric cable. 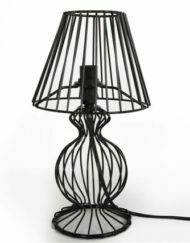 All our lamps are constructed and tested inline with BS EN 60598 and have been independently tested by The Lighting Industry Association. 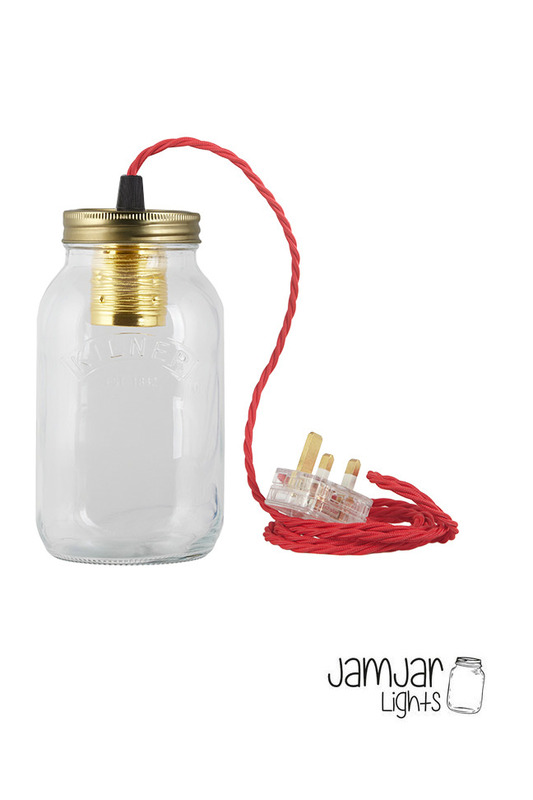 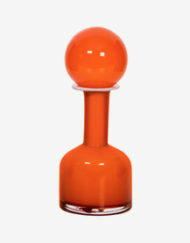 Choice of colour cord available, simply select from the drop-down menu. 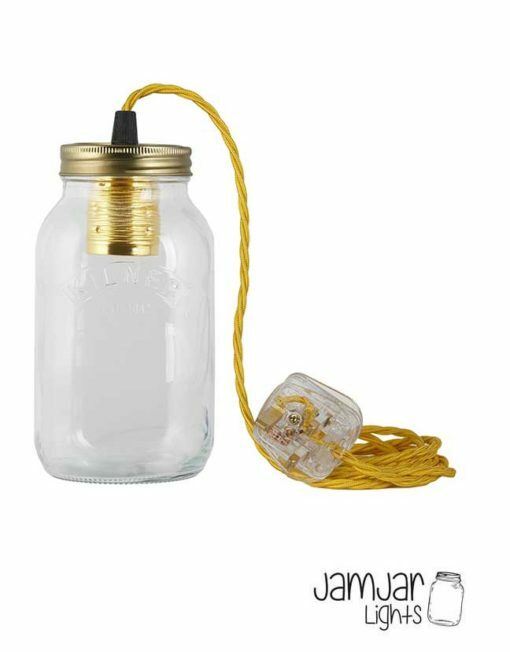 The JamJar Lamp is made using a 1 Litre Kilner preserving jar, an E27 screw lamp holder, a transparent 3 pin plug and 2 metres of colour fabric cable.